Inappropriate prescribing and uninformed use of prescriptions cost healthcare systems billions of dollars worldwide yearly. Prescription Drugs are the fastest growing sector of worldwide health care costs with health care costs continuing to be the largest component of most governments budgets. Prescription Drugs are fast exceeding the cost of physician services. Approximately 10%  20% of the world population use tranquilizers and sleeping pills with up to 30% of people over the age of 60 years using these drugs (often over many years having been prescribed them at a much earlier age) and who have become "accidental or involuntary addicts." An estimated 4 million people in the United States have used prescribed benzodiazepine tranquillizers and hypnotics (sleeping pills) regularly for 5  10 years or more according to a US study in the early 1990s. Similar figures apply in the UK, Europe and in some Asian countries with the trend continuing. The World Health Organization (WHO) estimates that 33% of diseases today are caused by medical treatment i.e. iatrogenic or doctor induced illness. Doctors are the third leading cause of death in the US after heart disease and cancer causing an estimated 250,000 deaths each year according to an article published in the Journal of the American Medical Association, July 2000. An estimated 60% of users of tranquilizers and sleeping pills suffer a mixture of adverse effects and withdrawal after 2  4 weeks of use (including therapeutic dose levels) due to tolerance and addiction. Addiction to prescription drugs such as tranquillizers and sleeping pills is the inability to discontinue the use of the drugs as a direct result of the build up of tolerance and when the original dose has progressively less effect and a higher dose is required over time. Tolerance produces a recognized withdrawal syndrome and can precipitate "mini withdrawals" "or inter dose withdrawals" between pills depending on the "half life" of the drugs. This often leads to doctors prescribing increased dosages and/or prescribing another benzodiazepine and/or cross addictions to other drugs, primarily alcohol, to withstand the withdrawal symptoms. Pharmaceutical companies spend more on marketing and promotion of drugs than on research and development  an estimated $15,000  $20,000 on every doctor with expenditures of $8.3 billion in the United States in 1998. 40% of impaired or dead drivers of motor vehicles show prescription drugs in their systems  predominantly tranquillizers and sleeping pills. The adverse effects of benzodiazepines can include: paradoxical agitation, increased behavioural disinhibition, impaired new learning, decreased short and long-term memory, impaired psycho-motor functioning, (many times leading to accidents and/or falls), rage, the appearance or worsening of anxiety and depression, suicidal ideation, emotional anesthesia, floppy baby syndrome, the potential for permanent cognitive impairment, tolerance and addiction leading to acute and protracted withdrawal. These effects have been known for over 2 decades but little has been done to address the problem or to change doctors prescribing habits. The National Centre on Addiction and Substance Abuse at Columbia University in 2001 found that General Practitioners don't properly assess for addictions and alarmingly, fewer than one third can diagnose addiction to prescription drugs  a problem doctors create. Guidelines for acceptable duration of benzodiazepine use dating back over 2 decades state a maximum of 2  4 weeks or for intermittent use only. Most recently, guidelines state 7  10 days. The infrastructure  detox, treatment and recovery centres available and doctors knowledgeable to help people withdraw from tranquillizers, sleeping pills and anti-depressants  is minimal, and in many cases non existent. Misdiagnosis, misprescribing and mistreatment of patients who trust their doctors to "do no harm" continue today in the area of tranquilizers, sleeping pills and anti-depressants. The high cost to our socio-economic system with the continued indiscriminate prescribing and uninformed usage of these drugs includes health and safety in the work place, career devastation, family dysfunction, productivity losses, car accidents, falls, floppy baby syndrome (similar to fetal alcohol syndrome), lost years of people's lives, lost lives, costs to the legal and justice system, workers' compensation board claims, life and disability insurance claims, social welfare costs, emergency admissions, physicians' fees, pharmacists' fees, drug costs, detox facilities and increased overall costs for healthcare and other public/private sector services. The elderly receive more than twice the number of prescription for psychotropic drugs as do younger people and can experience drug induced dementia, cognitive impairment and falls after years of use. Non "psychiatric" conditions account for 70% of tranquillizer and sleeping pill prescribing and usage. Cross addictions to other drugs and alcohol occur in 73% of benzodiazepine users  many of whom never used or had problems with alcohol or other drugs previously. 43% of emergency room suicide attempts or overdoses involve tranquillizers and sleeping pills. Withdrawal symptoms from tranquillizers and sleeping pills can include insomnia, panic attacks, agitation, hallucinations, paranoia, depersonalization, derealization, depression, pressure in head, anxiety, loss of appetite, weight loss, visual distortions, flashbacks, lack of concentration, agoraphobia, dizziness, sweating, nausea, nightmares, palpitations, creeping sensation in the skin, increased sensitivity to light, touch and smell, pins and needles, numbness, seizures and sometimes death. A too rapid withdrawal causes major hyper excitability of the brain and central nervous system. A slow taper of weeks and months depending on use is recommended under close, ongoing medical supervision by a knowledgeable doctor and/or addiction specialist. A Canadian report released in May 1999 revealed that in 1997 benzodiazepine prescriptions surpassed all other Phamacare prescriptions for women exceeding cardiac drugs, anti-depressants and estrogen. 67% of prescriptions were issued to women. 68% of people prescribed tranquillizers and sleeping pills receive their prescriptions from only one doctor. A 1996 study at Stockholm University in Sweden revealed that 51% of patients dependent on sedative/hypnotic drugs (tranquillizers and sleeping pills) showed signs of acquired intellectual deterioration and impairment (which can be permanent). Substance use and mental illness co exist in an estimated 50%  70% of patients diagnosed with "alleged psychiatric disorders". The DSM III and DSM IV (psychiatric manuals) document substance induced anxiety disorders, substance induced mood disorders and substance induced depressive disorders caused by benzodiazepine use. These "alleged psychiatric disorders" often disappear once a patient is off all medications and as a result of lifestyle changes including exercise and diet. There is extensive worldwide concurrent prescribing of benzodiazepines with antidepressants to approximately 60% of patients/consumers (often prescribed to counteract the adverse/side effects of one category of drugs with another). Many patients are prescribed several different benzodiazepines and several different anti-depressants at the same time. In some cases, patients are further prescribed neuroleptics and then anti psychotics. It is not unsual to find patients on 3  7 different nervous system drugs. This is all part of a market "dollar-driven" healthcare system based on an antiquated "disease model" and dependent on a chemical cocktail of drugs. In the United States in 2000 Prozac sales (Eli Lilly) reached $2.6 billion, Zoloft (Pfizer) reached $1.9 billion, Paxil (Smith Kline Beecham) $1.8 billion, Wellbutrin (Glaxo Smith Kline) $850.9 million and Effexor (Wyeth - Ayerst) $815.8 million. 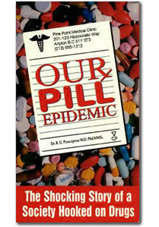 During the past decade and with greater frequency, there has been an alarming increase in murder/suicides, suicides, domestic violence, bizarre mass killings, mother (parents) killing children, road and air rage, school shootings and workplace violence in North America where documented evidence has shown the involvement of Prozac, Paxil, Zoloft, Luvox, SSRI/Anti-depressant drugs and/or other mind altering drugs. Most monographs and drug formularies for anti-depressant drugs state "effectiveness and safety in long term use has not been evaluated". Concern has also been expressed regarding anti-depressant prescribing to young children and adolescents (since these drugs have not been approved for use in children under 18 years of age). One million children in the US were reported taking anti-depressants in 1999  including mint flavoured Prozac. Safe use of anti-depressants during pregnancy has not been established with drug monographs and drug formularies stating that anti-depressants should not be administered to women of child bearing potential unless in the opinion of the treating physician the expected benefits to the patient markedly out weigh the possible hazards to the child or fetus. Prescription Drugs are big business with high profits. 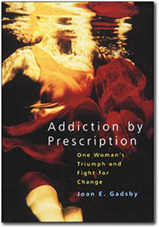 The ongoing creation by major international drug companies of expanded markets and new markets for antidepressants include new "alleged diseases" such as "social anxiety disorder" for which Paxil is being promoted heavily in advertising; Prozac as Serafem to treat "mood imbalances associated with premenstrual syndrome" and since Prozac has gone off patent, the drug manufacturer, Eli Lilly has received approval to market a once-weekly version of the drug (based on its "new coating"). Under no circumstances attempt to withdraw from any of the above drugs without proper, ongoing medical supervision such as a well-informed addiction or chemical dependency doctor.